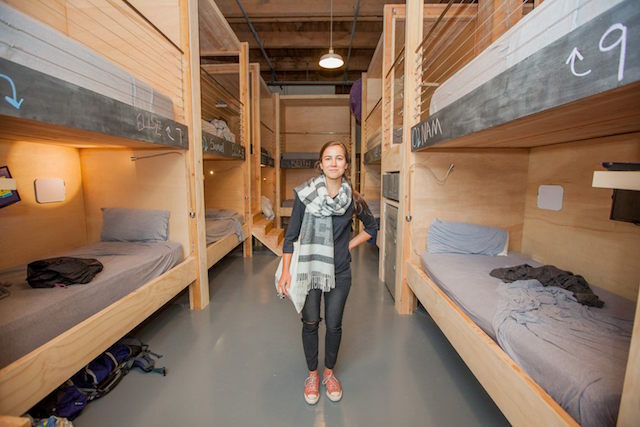 Would You Try Communal Living at WeLive or Podshare? These Companies are Opening Adult Dorms — But are They Worth It? My college dorm memories aren’t exactly pleasant. One girl talked to her boyfriend on the phone in the hallway every single night. There were showers covered in hair and three girls squeezed into a room meant for two. However, there was a certain camaraderie in the air. Not enough to make me stay more than a year, but it was there. And some companies are hoping to recreate that feeling — and capitalize on millennials’ apparent need for social interaction in a digital age — by opening up dorms for grown-ups. Here’s the idea: Millennials are lonely and lacking in face-to-face interactions. They’re crippled by student loans, with little money for down payments. And they often hop jobs or work remotely, leaving little desire for the commitment of a mortgage. So, what do certain entrepreneurs think they need? Dorms, obvi. Located in downtown Syracuse, New York, Commonspace has 21 fully furnished, 300-square-foot studio units, each with a kitchenette and bathroom. “Our goal is to take the best parts of dorm living — community, involvement, social interaction — and apply them to downtown apartment living,” Commonspace’s website says. Rent ranges from $800 to $975 per month, based on the style of your unit and length of your lease. Considering the median rent in Syracuse is $1,350 and Commonspace has a central location, rooftop deck, shared bikes and community manager, this one seems like a pretty clear win. It’s “currently exploring” other mid-sized cities, and says to let it know if yours would be a good fit. Private bedrooms start at $1,700 per person per month in New York, and $2,745 for private studios. In Virginia, rent starts at $1,200 and $1,950, respectively. That might sound crazy expensive, but consider the median rent in those locations, and it’s not totally out of line: $3,795 in FiDi (though that includes all sizes of apartments) and $1,150 for a one-bedroom in Arlington. A cross between a hostel and a co-working space, PodShare has three Los Angeles locations that cost $40-$50 for a 24-hour membership. Longer stays cost $250 per week. In these open, hostel-style rooms, you’ll have your own “pod,” which can be used as a bed at night and desk during the day. “PodShare makes life more affordable because there is no security deposit or cost of furnishings and we provide flexible living,” co-founder Elvina Beck told VICE. Call me old-fashioned, but I’ll pass on living in a room with dozens of people for now. What if there’s a snorer?! As for the other dorms, I think they sound kind of interesting. How about you? Your Turn: Would you ever consider living in one of these dorms?